Medical Marijuana Approval Slowly Growing in the U.S. - Pain News - Pain.dieutridau.com - All for Pain Relief ! We thought it might be worthwhile to review some of the latest from various states around the country regarding the use of medical marijuana. A year into Minnesota’s medical marijuana program, doctors there are getting a new condition for which they can prescribe the treatment: intractable pain. 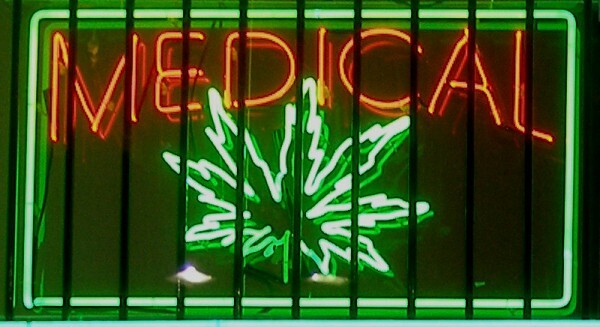 Doctors began evaluating potential medical marijuana patients with intractable pain. Their treatments would begin in August. In New Jersey, the state will accept requests next month to approve more medical conditions for its medical marijuana program. Doctors registered in the state’s program can now prescribe cannabis for certain debilitating medical conditions, including multiple sclerosis, terminal cancer, muscular dystrophy, inflammatory bowel disease, and terminal illness. Here’s the total list of what New Jersey are approved “conditions” for medical marijuana. In Ohio, which just approved medical marijuana, it looks like the state may not be ready to start in September. Fortune Magazine reported that the state still has to decide who can grow it, how much they can grow, how to identify which patients qualify and setting up a dispensary system. In Florida, voters will consider whether to approve the use of medical marijuana in the Sunshine State. The initiative, if approved by voters, would broadly legalize medical marijuana in the state. As medical marijuana laws become more common in the U.S., it’s good to understand what, exactly, these state laws allow — and what they don’t. States are trying to strike a balance between access to medical marijuana for patients who might benefit, while also ensuring that these laws don’t become a backdoor to full legalization. The challenge continues to be how uneven it is. The federal government has not eased its view on marijuana, so the states act for themselves. And different states come to different conclusions. And other states simply don’t approve it. Because of ethical and logistical difficulties of conducting pain experiments on human volunteers, marijuana’s potential to relieve pain has yet to be conclusively confirmed in the clinic. Pain doctors we spoke with almost universally agree clinical studies need to be conducted to get some hard data about the efficacy of medical marijuana on chronic pain patients. Those won’t be conducted if the federal government won’t allow it-and for now it continues to resist efforts to do some clinical trials on it. There’s no such reluctance in Canada. A Canadian research team led by Dr. Mark Ware from the Research Institute of the McGill University Health Centre (RI-MUHC) in Montréal has completed a national multi-center study looking at the safety of medical cannabis use among patients suffering from chronic pain. They found that patients with chronic pain who used cannabis daily for one year, when carefully monitored, did not have an increase in serious adverse events compared to pain patients who did not use cannabis.